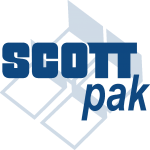 1/31/2018 Update: FREE SHIPPING currently available for SCOTTpak Units. Scott Industrial will cover the freight of units that ship before 3/31/2018. Scott Industrial Systems now offers a new quick build program. SCOTTpaks are smaller quick build power units, designed, assembled, and delivered by our Engineered Systems Department. Units are built with high quality components from the best companies in the industry. System checks include pressure, flow, sound level, and functionality. All test data is recorded for each engineered system. Shipment will be 5 working days after receipt of order. • Reservoirs from 5 to 30 gallons. • Pressures up to 3000 PSI. • Fixed pump displacements from 1.0 to 10 GPM. • Variable volume vane pump up to 8 GPM and 2000 PSI. • Electric motors from 1.5 to 10 HP. • Mutiple directional and stack valve combinations. • Multiple paint colors to choose from. • Every unit is tested. • Installation and Start-up assistance. • Scott custom built power units, lube units, and pneumatic panels. • Turn-Key systems,including motor controls, operator interfaces, PLCs, and motion controls. • Custom electrical control systems. • System rebuilding and/or upgrading. • Hydraulic and pneumatic component repair. Founded in 1948, Scott has grown as experts in fluid power. We offer design and assembly services as well as training to help customers maintain optimal equipment performance. 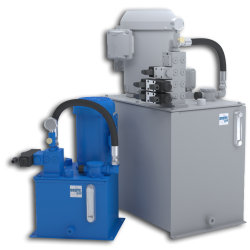 To learn more about Scott Industrial Systems visit www.scottindustrialsystems.com. To discuss an efficient and collaborative approach to your project, call 937-233-8146 or e-mail us at [email protected]. This entry was posted in Fluid Power, Hydraulics, Scott Industrial Systems and tagged hydraulic, Hydraulic Power Units, Hydraulics, Power Unit, Power Units, Quick Build, quick ship. Bookmark the permalink.